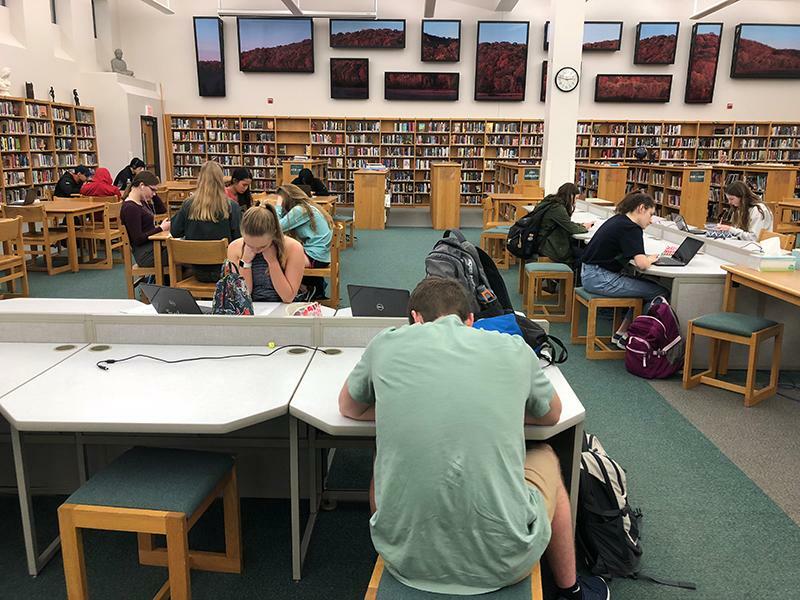 RBHS will participate in the National Assessment of Educational Progress (NAEP) Feb. 6, 2019 from 9:30 a.m. to 3:30 p.m.. Because of this, the Media Center will close for non participating students. The NAEP provides the national report card, a widespread representation of what students in the United States are capable of in subjects such as mathematics, reading, science, writing, technology and engineering literacy, arts, civics, geography, economics and U.S. history. RBHS will test on mathematics, reading and science, RBHS head counselor Betsy Jones said. Other than the specific subjects, Jones said there are other factors the NAEP will be testing. “About two thirds of the kids will take it on a tablet and one third will take it paper pencil,” Jones said. 75 random seniors received a letter asking for participation; however, parents could exempt their student from participating. While RBHS has not been chosen in recent history, Jones said other Columbia Public Schools (CPS) have, such as Jefferson Middle School and Hickman High School. Senior Kiren Macleod received the letter to take the exam. Although he will miss class time, Macleod said withdrawing from the test never crossed his mind. RBHS does not receive any funding or special benefit from taking the test as the sole purpose of the test is to represent national education statistics. I’ve never heard of the NAEP test before. Why are the students chosen randomly instead of the whole senior class? That’s a really cool thing to do! Is it open for all grades? I didn’t know such a thing existed. Hopefully, Rock Bridge gets good results. Thanks for the information; it’s good to know before tomorrow. I didn’t know this assessment was happening. I’m interested to read the report once it is released and see how Rock Bridge compares to other schools.